•Free admission to all film-club sponsored events. •Special club parties and screening events. 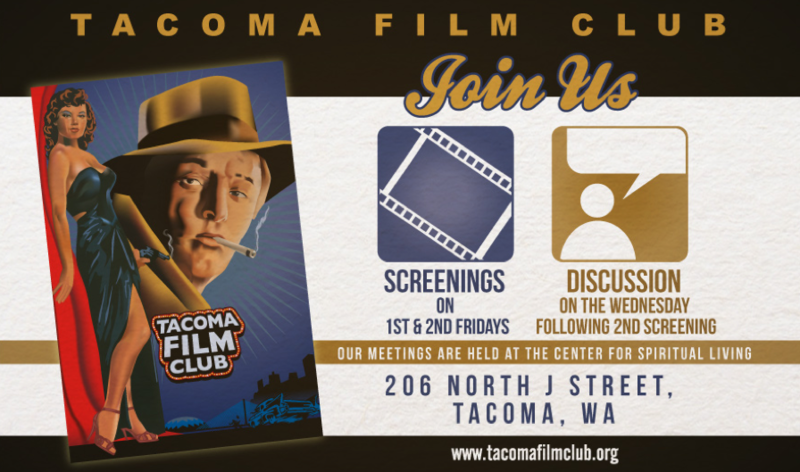 •The chance to meet other cinephiles from the greater Tacoma area who enjoy viewing and discussing films. Annual membership is $20.00. To become a member feel free to show up at one of our film screenings or discussions, or contact the club through email. Apologies in advance if it takes some time to get back to you as the email account is checked only occasionally.